The biological science and philosophy of biology infused in this book make it a fascinating read. Morgan knows her stuff. She’s studied, researched, and taught biology, with a focus on parasitology. She also conferred with experts to substantiate technical aspects of subjects touched on in the novel, including synaesthesia, psychology, and music. The result is a book rich with scientific detail, yet readable and accessible to a general audience. 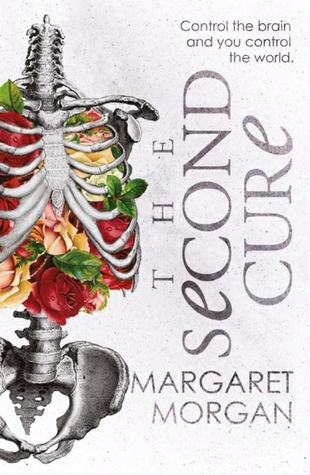 The Second Cure is written in close third person (apart from the first chapter) and jumps between four female characters of importance. Charlie Zinn is a parasitologist working on a cure—until unexpected symptoms of the disease make her hesitate. Brigid Bayliss, a political journalist, is set on exposing the evils perpetrated by the ruling regime. Winnie Bayliss is a woman who’s religious, good-hearted, and politically moderate. Tricia Townsend, a member of the same congregation, tends towards pettiness and fundamentalism. The detail drawing me into the lives of the characters made me feel as though I knew them: I followed them through the twists and turns of the plot with real concern. It was lovely to see situations particular to Australia drawn and developed in a dystopian setting, and it made me realise that most dystopian fiction I’ve read has been American or English. I love dystopias such as The Handmaid’s Tale, 1984, and Brave New World, but Morgan’s dystopia—set in my own country and near my own time—felt more relevant on a personal level. She refers to current Australian politics: leadership spills and Katter’s call for Queensland to be split into two states. She also draws on Australian political history. Effenberg, the book’s antagonist, has many traits in common with Joh Bjelke-Petersen, a former premier of Queensland noted for being extremely conservative and antagonistic. At this book’s core is the concern that the rights and freedoms we’ve won (for example, women’s rights) could far too easily be taken from us. Manipulation of fear is the mechanism that allows this to happen. Some sections of the novel, such as the protest scene, give me chills. They feel too plausible for comfort. Part one of The Second Cure is set in the near future. Part two takes place mid-century. The technological advancements that occur in the meantime feel natural and are essential to the plot. Morgan’s book is interspersed with excerpts from fictional newspaper reports, history books, and scientific journals and textbooks. Some are dry, but they are illuminating and good fun in small doses. Morgan’s work is not black and white but involves a multi-faceted moral examination of the situation she has created. Readers who are extremely conservative in politics and religion, however, should be prepared to find this book personally challenging. Whichever side of the political spectrum you consider to be home ground, the questions raised in this book are vitally important. The final chapters of The Second Cure open a whole new stick of bubble-gum, introducing moral questions I was chewing over for days to come. The world turns on the choice of a single person. Is any action justified when the fate of the Earth depends upon it? This is a book that will stay with you.